Chinese businesses are exploring land development deals near the Panama Canal and offering their skills in building the region’s information technology infrastructure. These are prime examples of Beijing’s stepped-up economic involvement in the Western Hemisphere, the senior American military official for Central and South America told reporters Monday. 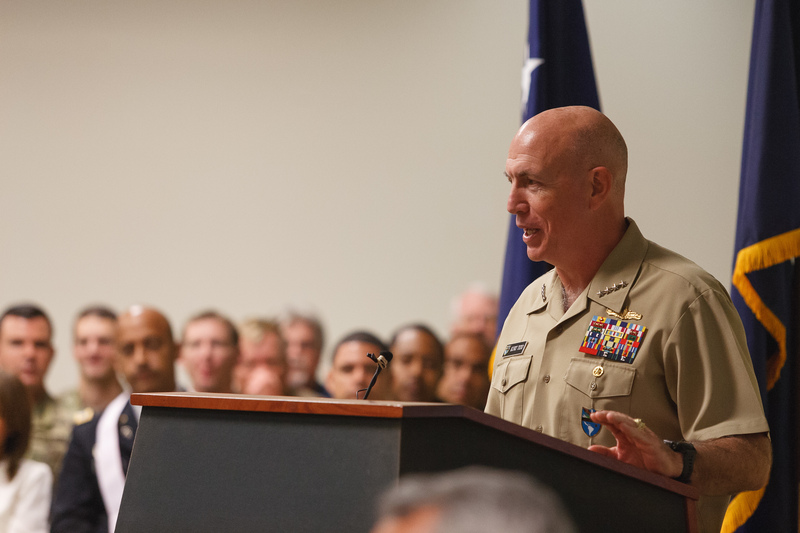 Speaking at a Pentagon press session, Adm. Kurt Tidd said the “economic competition” with the United States in Central and South America and the Caribbean is a demonstration of how other nations, including Russia and Iran, seek openings and influence in countries historically and physically close to the United States. Their goal, “is to undermine our partnerships,” he said. As an example, last summer, Panama broke off diplomatic relations with Taiwan under pressure from China and established them with Beijing. Since then, one project the Chinese started, with a Belgian firm, is building a port and terminal for cruise ships near the entrance to the Panama Canal. “The transparency of financial dealings [with the Chinese] are not always evident,” and that causes some nations to shy away from complex transactions with Beijing, he said. When asked whether he thought it possible for Beijing is looking to build a base in the Western Hemisphere, as it has recently done in the Horn of Africa, “It’s something always worth paying attention to,” Tidd said. He did note the strong military-to-military relationships the United States has with Colombia, Brazil, Chile and Argentina. Tidd said, answering a question about increased coca production in Colombia since the signing of a peace treaty with leftist guerrillas in December 2016 that “the level of commitment is at the very highest levels of Colombia’s government” and in the army and national police to curb narcotics production and distribution. The U.N. reported areas of cultivation increased more than 50 percent to 456,000 acres from 2016 to 2017. “It should come as no great surprise” that the coca production would rise as the government establishes control in areas once held by the FARC rebels, who waged a decades-long civil war with the Bogota government. “I think we’re seeing some significant progress” in that area. As he told the Senate Armed Services Committee last month, the biggest challenge he faces is “to be able to see and understand and influence” the shifting nature of narcotics, weapons, money-laundering and people-trafficking. His biggest need was more intelligence, surveillance and reconnaissance assets and medium-endurance Coast Guard cutters. At the press briefing, Tidd added that the trafficking crosses all domains — not air, sea and ground, but especially cyber for illegal financial transactions and money laundering. Tidd said there has been a growing awareness in the region of the dangers of radicalization among young people who could be drawn to extremists such as the Islamic State. He said the countries are also very aware of the threat posed by those returning from Syria and Iraq. It became clearer to nations in his command area that the threat was not distant but inside their borders following the discovery of 100 or so Trinidad and Tobago residents who were propagandizing for back-home consumption and fighting alongside the Islamic extremists. In looking back at the devastation of the past hurricane season, Tidd said, “None of our clocks [in the military and response agencies such as the Agency for International Development] move fast enough” to help the people who are directly affected. Although the military does not identify the requirements needed to respond to the natural disaster, “commanders are expected to be leaning as far forward as possible,” and SOUTHCOM is. He added in answer to another question, “you can never have too much” heavy lift capacity to meet those crises.